I wanted to send you this letter to let you know how much we appreciate Wexler Packaging and Danielle Ritenuti. We were in need of a new paper bander and Danielle was willing and able to get us a demo unit. We were able to bring the machine into our shop to test. Although we did not choose that particular model, we did settle on the Wexler CE240/30MM model. This particular model suited our needs and met our customer’s requirements. We have been extremely happy not only with the machine itself, but with the outstanding service that Danielle provided. I am sure if it had not been for her approach we would not have this new machine in our shop. Also included but not limited to is the service department at Wexler.  Any issues we have had with older machines, Wexler’s service department gets to them, and troubleshoots them, and has them out the door in quick order. This is a huge help since we basically use all of the paper bander’s we have on a daily basis. Thanks again Wexler for a job well done. ← Premier Brands of America, Inc.